Even though it is going to be in the 90s here in Arizona this weekend, it has still been quite cold for most of the country. If you are ready for the warm grilling weather already, I've got a recipe for you. These beer braised brats will give you that grilled taste without you having to brave the cold to get there. And the apple mustard slaw that goes on top provides a tangy flavor and crunchy texture that is oh-so delicious. In case you are interested, here are a couple of other fabulous grilling recipes: Jerk Chicken Salad and Chipotle Mango Grilled Chicken Tacos. This is my latest project for KitchenAid. Gosh I love collaborating with them. 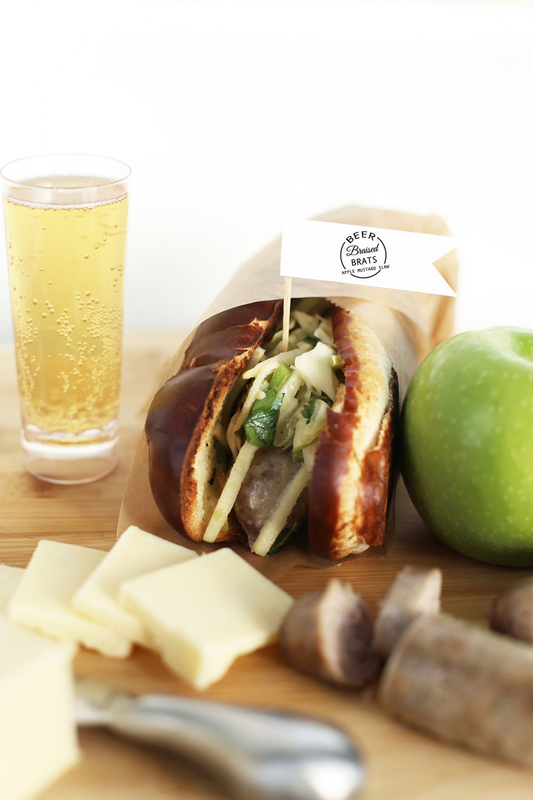 For the brat recipe, hop on over to the KitchenAid blog, the Kitchenthusiast to check it out. This beer brat recipe is my new fave. I hope you like it as much as I do. I love serving a beer brat on a wood pizza board with some artisan cheeses and Marcona almonds ... yum! Let me know what you think of my beer braised brats with apple mustard slaw in the comments below! 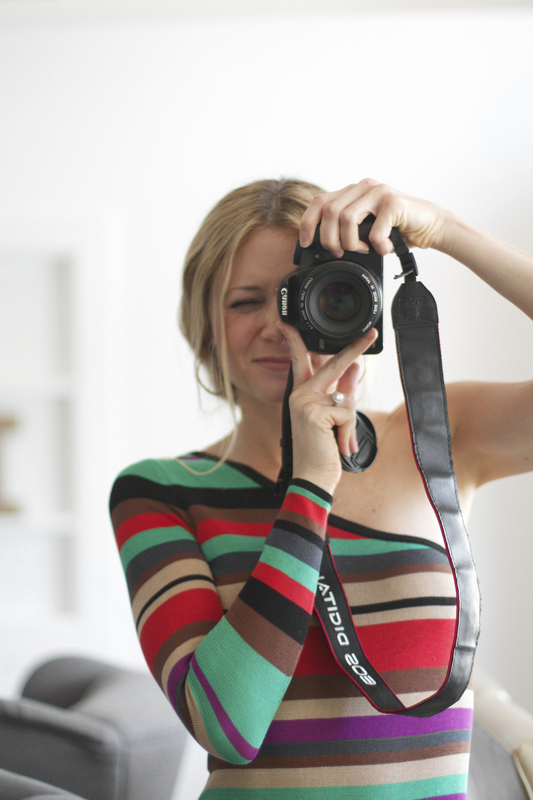 And don't forget to hop on over to the Kitchenthusiast for the step-by-step instructions + photos. In case you are interested, here are all of my projects for KitchenAid. And you are in luck ... I made some free stickers and flags for you to download and print!